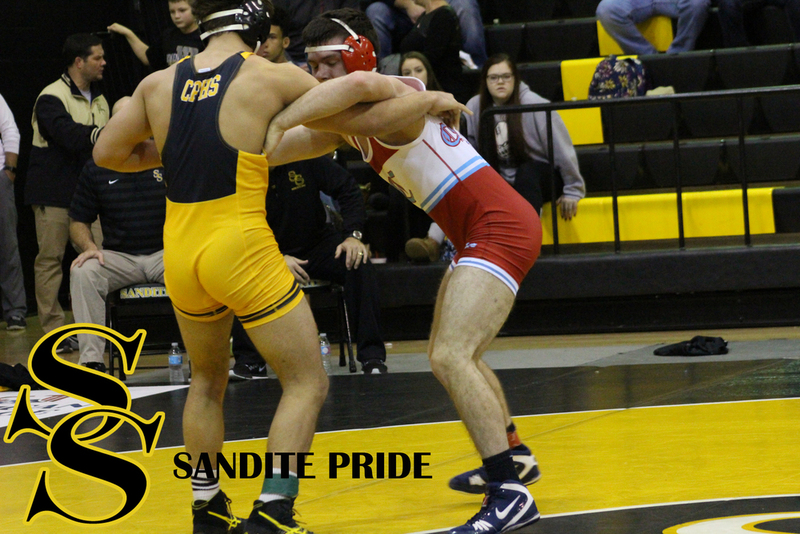 Despite sitting out several key starters, the Charles Page High School wrestling squad was still more than capable of finishing third at their home tournament behind the #1 teams in 6A and 5A. 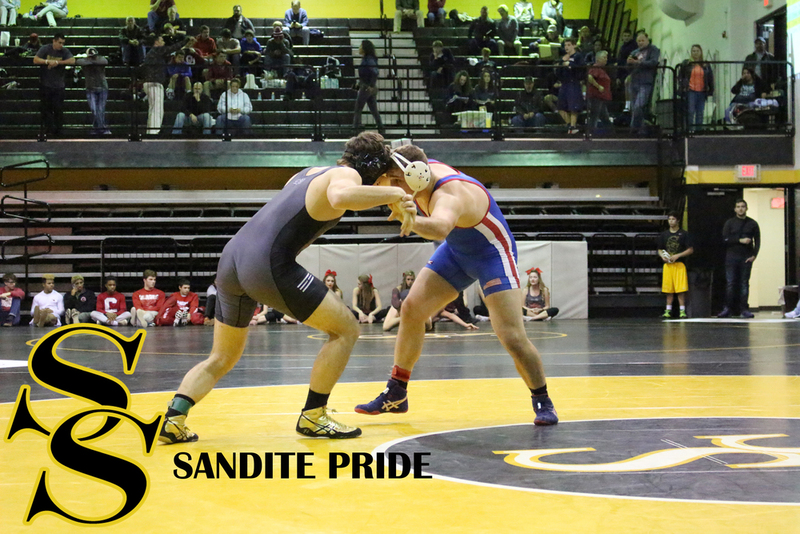 After upsetting the #1 Broken Arrow Tigers Thursday night, the most important thing for the Sandites to do now is remain healthy for Regionals, State, and Dual State. #8 Riley Weir, John Jiminez, #2 Trace Fleischman, #7 Lane Lettich, and Delvin Jordan all set out the tournament to rest and recover, and several backups got to see their first varsity action of the season. 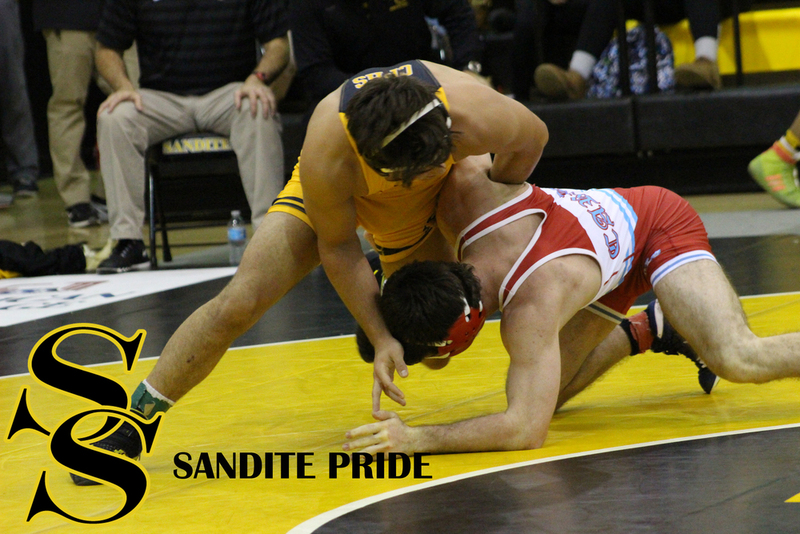 160 #4 Zane Basma (17-9) won his first tournament of the season, pinning Seth Steinke (Cascia Hall) in 3:01 and Alec Puckett (Bixby) in 2:29. Gabe Evans of Broken Arrow got a rematch after being pinned in Thursday night's dual, and fared slightly better this time, but was defeated 6-0 to seal Basma's trip to the finals against Tony Connor of Collinsville. Basma won that match 11-5. At 170 Bryton Beck (5-11) gave up pins of 3:46 and 2:16 to Brad Bell (Okmulgee) and Stephen Shibley (Sapulpa), respectively. 182 Mike Brown (0-2) was pinned in 1:30 by #2 Jared Kerr of Bixby and lost 14-5 to Chris Connor, also of Bixby. Mike Martinez (0-2) also made his varsity debut at 182, but was pinned in 0:41 by Zach Wellman of Bartlesville, and in 1:54 by Paul Fleming of Cascia Hall. At 195 #8 Zack Sims (14-15) gave up a 1:55 pin to 5A State Runner-Up Roc Robbins of Collinsville in the opening round, then accepted a forfeit from Broken Arrow's Skylar Haynes. 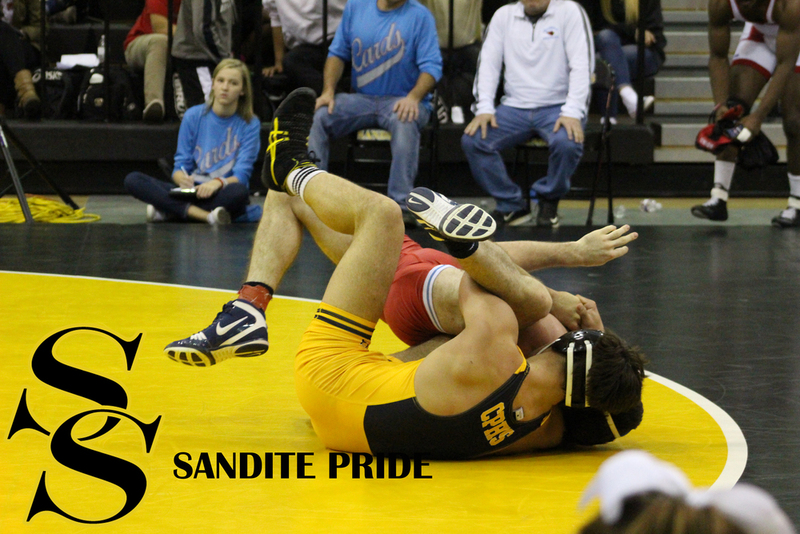 Sims wrapped up the Friday wrestling with a 1:48 pin of Cascia Hall's Hunter Hedrick. 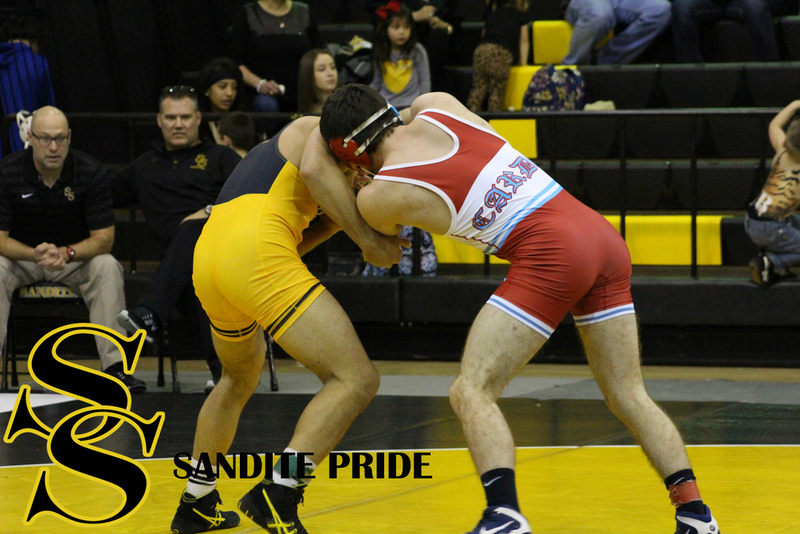 On Saturday, Sims lost 7-2 to #4 Cody Adams of Bixby, but managed to edge out Ponca City's #6 Bradyn Presnall 4-3 for a 5th Place finish. 220 Gage Fain (5-14) was pinned in 2:26 in the opening round by Alex Cantu of Grapevine, Texas, but turned it around with two pins of his own in 2:29 against Blake Buoy (Bartlesville) and 0:59 against Dylan Dobbs of Collinsville. From there, however, Fain would be pinned in 3:46 by Baylee Perigo of Barnsdall and forced to a rematch against Cantu. This time he avoided the pin, but gave up a 7-3 decision for a 6th Place finish. 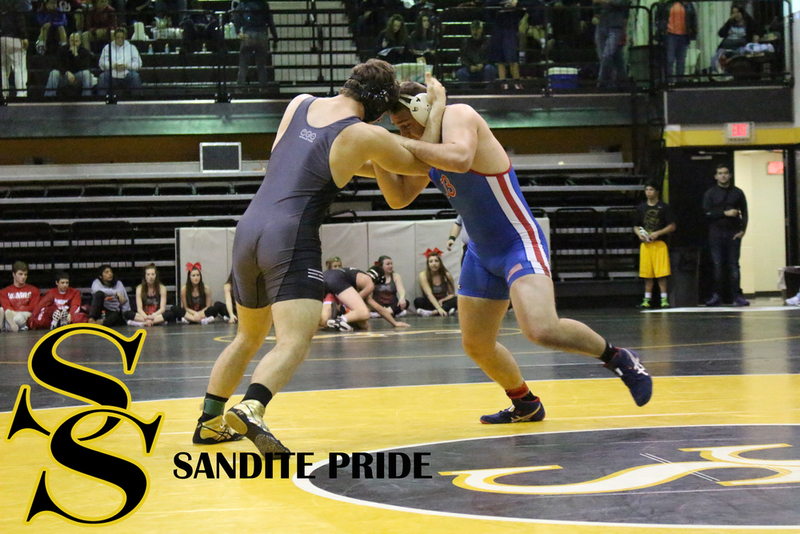 The Sandites wrestled two new guys at Heavyweight, Jace Anderson (0-2) and Dom Piper (0-2). Anderson forfeited to Sapulpa's #5 Daylan Durham, then was pinned in 0:11 by Derek Bay of Sperry. Piper was pinned in 2:25 by #1 Trenton Lieurance and in 4:52 by Jackson Wilson of Collinsville.